Seattle Bootie Seattle @ Neumos — Easter Bunny Bash! 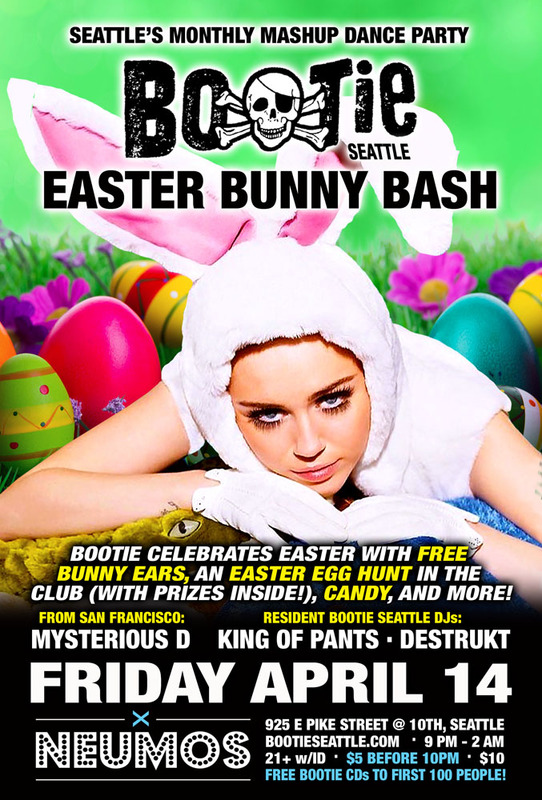 Bootie celebrates Easter with free bunny ears, an Easter egg hunt in the club (with prizes inside! ), candy, and more!